Meditation Articles - Helping you to go deeper and to shine brighter! 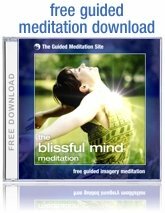 These wonderful articles on meditation will help you to enhance your meditation technique, open your mind to new meditation methods and deepen your understanding of meditation and how it can benefit you. What are the main reasons to meditate? "Why meditate?" is a common question. Here are some of the most compelling answers. I can't meditate. Yes you can! The right type of music can really help you enter into a state of deep meditation. Here is some great advice for selecting the right kind of music, and some tips that will help you to use music for meditation correctly. I'm surprised at how often this question is asked. Follow this link for a little insight into the history of meditation. Expanding on the previous article about clarity in life, this article offers some "must read" tips for improving mental clarity. Wonderful advice on how to design a meditation room. This series of articles on designing a meditation room is so comprehensive that I have turned them into a free e-book that you can download. Follow the link above for the full story. What are the secrets of deep meditation? Most meditation enthusiasts are keen to learn new ways to enhance and deepen their meditation. This eye-opening article will give you the facts about deep meditation - without the hype. Should we be teaching meditation to children? Christopher Lloyd Clarke shares his views in this article and invites you to join the discussion. What are the benefits of meditation for kids? Should your kids be meditating? This concise overview of the benefits of meditation for kids will help you decide. We love to publish new articles about meditation from people just like you. Please enter your article below and we'll publish it on this page for you provided that it satisfies our submission guidelines. Why Have a Meditator Life Partner?